How Black Men Birthed Dandyism..
Dandy Lion's Great Britain Pre.. Organized by US-based independent curator Shantrelle P. Lewis, Dandy Lion: (Re)Articulating Black Masculine Identity features work from emerging and renowned photographers and filmmakers from the US, Europe and Africa. The exhibition seeks to distinguish the historical and contemporary expressions of the Black Dandy phenomenon in popular culture. The first comprehensive exhibition of its kind, this project highlights young men in city-landscapes who defy stereotypical and monolithic understandings of Black masculinity by remixing Victorian-era fashion with traditional African sartorial sensibilities. Using their self-fashioned bodies as sites of resistance, contemporary Black dandies are complicating modern narratives of what it means to be Black, masculine and fashionable today. 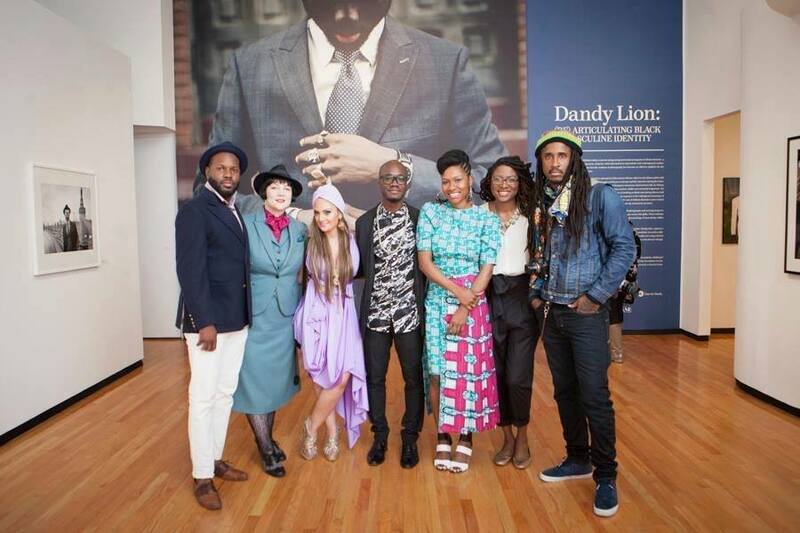 The MoCP’s presentation of Dandy Lion: (Re)Articulating Black Masculine Identity in the spring of 2015 was extremely well received. Welcoming nearly 17,000 visitors over the course of the exhibition, MoCP received national and international recognition in the press, including Ebony Magazine, The Huffington Post, BBC.com and ABCnews.com. In conjunction with the exhibition, the MoCP organized a symposium featuring Shantrelle P. Lewis, the exhibition curator with Monica Miller, scholar and author of Slaves to Fashion: Black Dandyism and the Styling of Black Diasporic Identity; Naomi Beckwith, Marilyn and Larry Fields Curator at the Museum of Contemporary Art Chicago; author Nichelle Gainer; and art historian Amy Mooney, among six exhibiting artists that was attended by over 150 people. Dandy Lion is available for travel through 2019 for a rental fee of $12,500 plus shipping. Available dates after June 1st 2017. The exhibition consists of 120 framed works and 3 videos. Enclosed is further information about the exhibition, a fact sheet, checklist may be viewed online at http://www.mocp.org/exhibitions/2015/04/dandy-lion-rearticulating-black-masculine-identity.php. If you have any questions or need more information about the exhibition please do not hesitate to contact Stephanie Conoway at 312-369-7105 or sconaway@colum.edu.